I remember taking the picture above, of my grandson, Joshua. 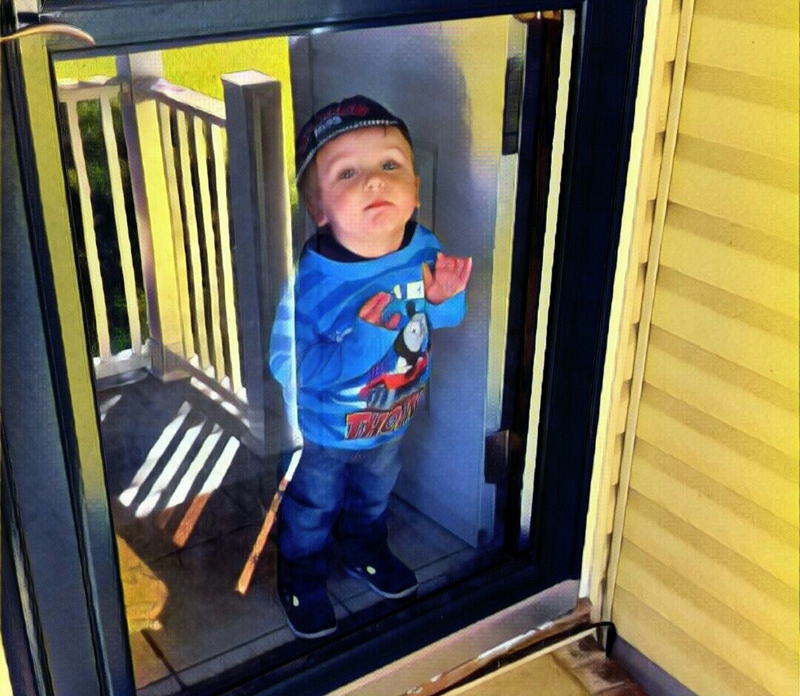 His mama (my daughter, Jessica) didn’t know I was on the porch, and she told him he couldn’t go outside. He stood there at the door for about five seconds, staring at me with that sad, “Can I please come outside with you?” gaze. “Yeah!” he grinned, and joined me. He didn’t know what he had in store for him; all he knew was there must be more—something exciting and, hopefully, a little dangerous, waiting for him outside. He was safe inside, yes, and comfortable, but that’s not he wanted. He wanted laughter and fun. He wanted adventure. Remember when you and I were young and full of seemingly unkillable dreams and ideas? Pain and time have a way of suffocating those dreams, I guess. But maybe, somewhere in the dark recesses of your spirit, that dream is still alive. Just barely, perhaps, smothered by time and scarcely breathing, gasping for air and desperate to be set free. But still there nonetheless. Around 1990 the Lord gave me an idea for a song called, “Demonkill.” At the time I was lead singer of a band that lasted about a week. We had just decided on a name, “Rest in Peace,” when we split up. Nothing ever came of R.I.P. but the name “Demonkill” wouldn’t leave. It haunted me so long I told my dad about it several years later, and he agreed to pay the legal fees to trademark the name. God bless him. That was many years ago, and while I still own the name, I’ve not been able to make it happen. I’m still that little kid, standing at the door of life, longing for adventure, begging my heavenly Father to let me come outside and play. It’s simple: I’m turning 50 in a couple months and I’m just getting ready to start my first Demonkill novel. Not sure what’s going to happen, but I have to try. Mediocrity is the enemy of greatness. If God has given you a dream, don’t let anything or anybody stand in your way. If Joshy hadn’t been standing at the door, if he’d stayed back where it was completely safe and predictable, he would never have gotten to breathe fresh air with his Poppy. We would never have had that moment of laughter and adventure. So I say, to the devil with safe…I wanna get in the game, Lord. Please open the door and let me come out and play. Will you be joining me, or would you rather sit in the house for the rest of your life? It may be dangerous out there, but there is an adventure waiting. C’mon…live a little. Ask God to breathe life into the visions of your youth. Let’s do it together. Let’s go for it. Thanks for the comment! Those of us who deal with chronic issues find ourselves trudging through the day, sometimes begrudgingly, angrily. I think bitterness will snuff out our dreams, if we let it. I’m trying to get back to the place where I’m going to start writing again. Everyone has a gift, and that’s mine. Some people flourish at church as “greeters,” stirring up smiles from people the second they walk in the door on Sunday. That’s awesome! Whatever your gift, it’s vital we set a goal and then keep our eyes on the prize and never give up.